Sophisticated Cell phones are more vulnerable to spywares. 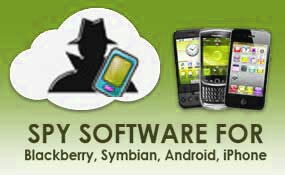 Most spywares require supported brands like Blackberry, iPhone, Widows mobile etc. 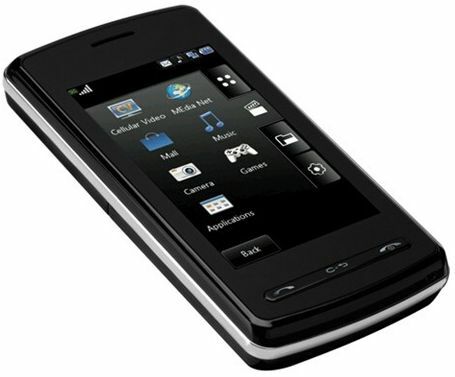 Cell phone spywares are available in the net as downloadable versions at a very low cost. This can be installed in the Target phone within minutes and it is difficult to identify its presence in the phone. Installation of the spyware is a deliberate act and not an accidental introduction . Once installed, the spyware straight away begins to record information like SMS, Email, Call logs etc and uploads the same to an online account of the person introduced the spyware. The person installed the spyware can easily log on to the account and see all the activities of the Target phone. The Cellphone monitoring softwares evolved as a necessity to locate the phone through the satellite network and also as a measure to monitor the online activities of children. Basically the spywares are Parental control softwares to protect children from online cheating. These spywares also help to watch the activities of suspected persons and to track the location of the phone in emergency situations if the user is unable to make a call. By using the Google Map tracking the location is possible. Along with these positive aspects, misuse is also coming in to intrude into the privacy of people. How the Cell phone becomes an open device? Live listening – The spyware programme enables the hacker to listen the live conversation between the caller and the answerer. Text message retrieval– All the SMS received or Send from the spyware installed phone can be retrieved and recorded. Video enabling– If the spyware is installed in the phone, the Images, video clippings etc stored in the phone can be viewed online. Call logging– This feature of the spyware allows the hacker to check all the incoming and outgoing calls. GPS tracking – This facility helps to track the location of the phone. SMS Interceptor – This facility helps to read the SMS send or received at any time even if the message is deleted. Don’t worry. There are ways to detect whether a spyware is present in our phone or not. We can also remove the software through a clean formatting. Here are some tricks. 1. Check the phone, if somebody borrowed your phone for making a call or to see the visuals. If there is any doubt, immediately format it. If a memory card is present, format it also. 2. If your good battery drops considerably even after regular charging, there is a chance for a spyware. Some spywares continuously send the data from the phone which causes severe battery drain. 3. Observe the sound of speech. If there is tapping software, clicking sounds will appear between the talks. 4. If your cell phone hesitates to shut down lighting the backlight continuously, there is a possibility of a spyware. 5. Frequent lighting of the backlight without any phone activity may be due to a spyware. 6. If there is a background noise during speech or echo, there may be a spying. 1. 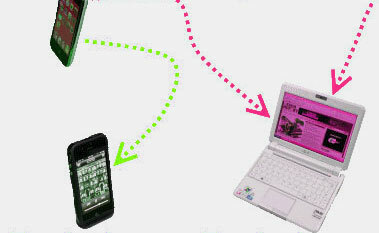 If your cell phone has a web browser, install a good Firewall and Antivirus programme to prevent the access of spywares. Don’t accept Bluetooth sharing or connection with unknown persons. Clearly watch the behavior of cell phone after a Service. As long as you are careful, there is nothing to worry about the spywares since even if infected ,a clean formatting will erase all the spywares and viruses from the phone.